THE battle for midfield starting spots in Australia's decisive World Cup qualifying playoffs against Honduras is heating up after several Socceroos stars put in eye-catching performances on Saturday night. 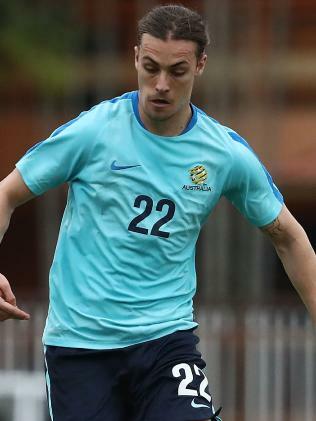 With Melbourne Victory's Mark Milligan suspended for the first leg in San Pedro Sula and Aston Villa's Mile Jedinak in a race against time to prove his fitness, a defensive midfield position could be there for the taking for either Massimo Luongo and Jackson Irvine. And Luongo continues to impress for Queens Park Rangers, starring in his side's 2-1 Championship win over high-flying Wolverhampton Wanderers. The man named the 2015 Asian Cup's most valuable player provided the assist for Conor Washington's 41st minute opener with a defensive challenge in QPR's attacking area that spilled to the goal scorer. He played a full 90 minutes. Irvine didn't start, but is getting more minutes by the week for Hull City as the push continues from fans and local media to see him promoted to the first XI. After playing 30-odd minutes last weekend, this time Irvine came on at half time for Poland's Kamil Grosicki as part of a tactical double substitution. He couldn't help his side to victory, with the Tigers losing 3-2 against Nottingham Forrest, but with a midweek game against Middlesbrough and then another match away to surprise ladder-leaders Sheffield United before the international break, the Victorian did his chances of forcing his way into the starting line-up no harm. 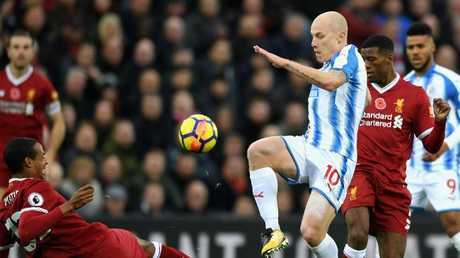 In the more advanced midfield positions, there was no repeat of last week's heroics against Manchester United for Aaron Mooy, with Huddersfield Town going down 3-0 to Liverpool at Anfield. The Aussie star did play the whole game though. As did fellow attacking midfeidler Tom Rogic for Celtic, which drew 1-1 with Kilmarnock in Rogic's first full 90-minute outing for his club in almost a month. Elsewhere, Bailey Wright (Bristol City), Ryan McGowan (Al Sharjah), Danny Vukovic (Genk) and Mustafa Amini (AGF) all played 90 minutes. Mathew Leckie (thigh injury) missed Hertha Berlin's game, while Jamie Maclaren was unused substitute for Darmstadt.